This beach neighborhood boasts three coastal dune lakes, which are extremely rare bodies of water found in only a handful of places across the world. Dune Allen also offers more than five miles of breathtaking trails in Topsail Hill Preserve State Park — making it a dream destination for nature lovers and ecosplorers. Dune Allen is centered on some of the Walton County’s gulf front land purchases that will give visitors and owners more beach access. Gulf Place – Stroll along Gulf Place’s sugar-white sand and lush green spaces; then, get out and see the stores and restaurants at Gulf Place Town Center. Energize with a refreshing session in the swimming pool, a game of tennis, or a jog along the Timpoochee Trail. Eat, drink, and relax at a family-friendly spots like La Playa, Shunk Gulley and the Perfect Pig. Ed Walline is the public beach access that Gulf Place is centered around. 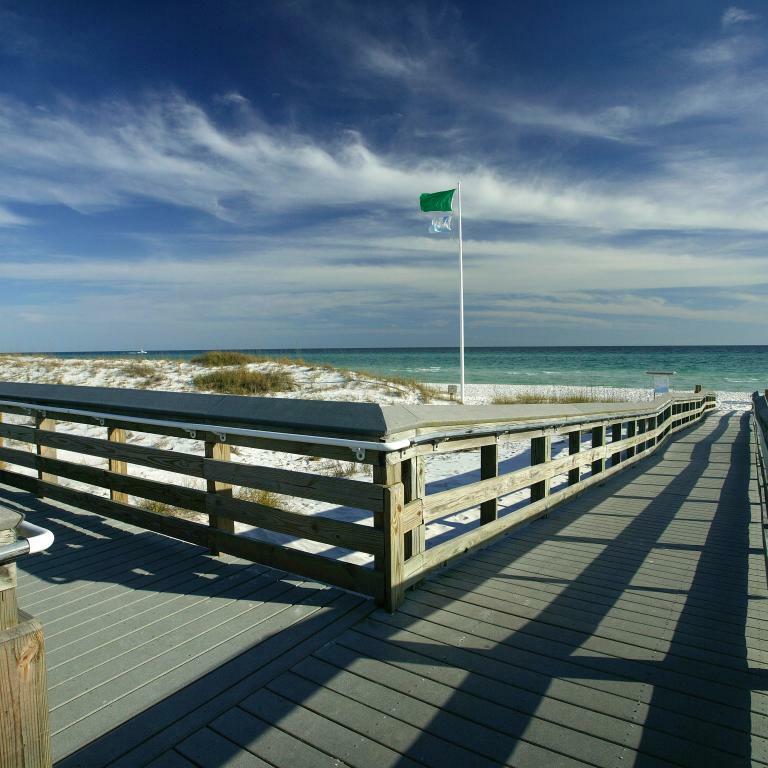 You’ll find plenty of properties from upscale condos to a private gated non-rental community right across the street from The Vue, Santa Rosa Beach’s Gulf Front country club.